This week I had the privilege of helping out at a workshop organized by the Museum Computer Network Conference, a conference of curators and educators from around the United States. The workshop introduced conference goers to the basics of 3D modeling and printing. We used models created at the Met MakerBot Hackathon, held at the Metropolitan Museum of Art in May 2012, where the latest 3D printing technology was used to reproduce artifacts thousands of years old. Representatives of Makerbot teamed up with curators to reproduce sculptures like Leda and The Swan as printable 3D objects. At this workshop we printed some of these objects on a Makerbot cupcake, a Mendelmax, and a powder printer. We also remixed the objects using MeshMixer. Have you ever wanted to place an ancient image of Buddha’s head on a lion from the Qi Dinasty or add bunny ears to an Etruscan lion sculpture? By uploading their models to Thingiverse, the MET has opened up new avenues for interactions with ancient artifacts. The formerly sterile objects can take on new life and new meanings as they are reproduced, altered, and printed. 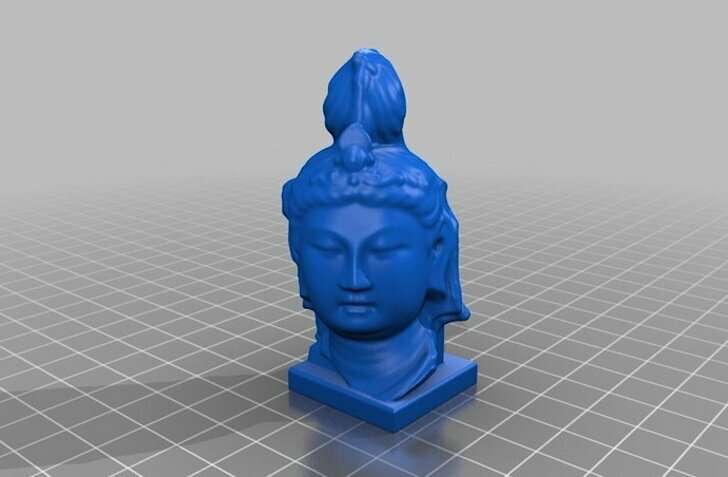 The MET’s objects can be seen on their page at Thingiverse. Monica lives on a sailboat in Seattle, WA, where she works on Google Maps. In her free time she enjoys researching emerging technologies, sailing, and skiing and snowboarding. She also organizes Seattle's Arduino Meetup and plans to build her own version of the Rostock Delta Bot 3D printer.